With just a few days remaining of the Obama Presidency, it is no surprise that he is passing a few last-minute changes before he hands over to Donald Trump at the end of the week. But one such move, which has caused consternation in the civil liberties and privacy communities, has seen him relax the rules for the sharing of personal data which has been collected by the NSA (National Security Agency). 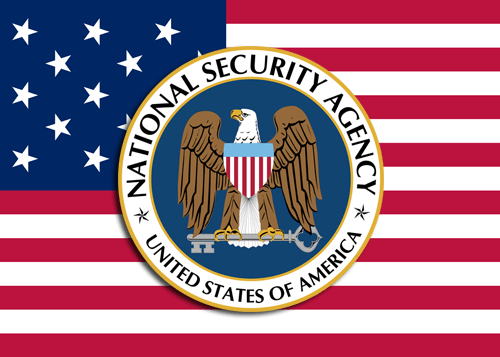 Under the new rules, the NSA is now permitted to share raw data which it has collected during the course of its surveillance operations with no fewer than 16 other US intelligence bodies, including the CIA, the FBI, and the Drug Enforcement Agency (DEA). The rules were signed off by James Clapper, US National Intelligence Director, back on the 15th December, but only approved by the US Attorney General Loretta Lynch on 3rd January. The fact that the new rule applies to raw data is crucial because this means the data will not have had any privacy protections applied to it before being shared. They will subsequently have to apply rules to minimise privacy intrusions, but nevertheless, privacy advocates have argued that the new rules undermine privacy protections which were put in place after the Edward Snowden revelations in 2013. The new rules mean that analysts will have enhanced access to the data being shared between intelligence agencies. This data will include phone calls, emails sent across any international border, and any satellite communications. Needless to say, the new powers, which come at a time when civil liberties activists have been called for Obama to tighten up privacy laws ahead of the Trump Presidency, have enraged privacy campaigners. Once gain the new rules have been defended with the age old argument that they will make it easier to prevent terror attacks. But as always, it is the innocent citizens whose privacy concerns are being completely overlooked in the name of what agencies consider to be enhanced national security. The new rules of raw data sharing are not the only new and intrusive powers to have been handed over to law enforcement agencies in the US recent days. Just a fortnight ago, changes to rule 40 of the US Federal Rules of Criminal Procedure were introduced which permit FBI agents to hack into computers anywhere in the world. There were efforts to block this new power in the Senate. Ron Wyden, a Democratic Senator, speaking in the Senate said the new rules handed “unprecedented authority to hack into Americans’ personal phones, computers, and other devices”. Whilst much has been written about the privacy concerns that will arise under the incoming Trump administration, including on this site. But these latest moves just emphasise how damaging the Obama regime has been to individual privacy, especially online. It was only the Edward Snowden revelations which have seen any concessions being given to personal privacy, and many of those were made under huge public pressure, and are likely to only be temporary. It remains to be seen if things deteriorate still further under Donald Trump, but just as has been the case under Obama, if American citizens really want to be private and secure online, they need to take steps, such as using a VPN, to protect themselves.